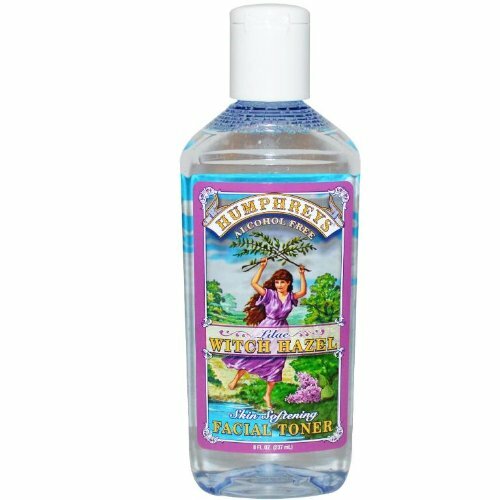 Witch Hazel Lilac Skin Softening Toner is one of the safest skin care products we have ever reviewed. We surprised there were not more Amazon customer reviews. But the reviews were about 91% of verified customers. The marketing material is a tad underwhelming. But it is nice to see a product which does not claim to do everything for us. That is Witch Hazel Lilac Skin Softening Toner’s only claim. However while talking with a small sampling of some customers we know, some stated they were using the product for makeup remover. So do not be surprised if this shows up ointhe facial product listings as well. What really stuck out was the many different ways people were using the product. People from different skin types were using the product to clear of help certain skin issues and conditions. Some reviews even mentioned Witch Hazel Lilac Skin Softening Toner used for anti-aging and wrinkles. Many reviews showed the customers very happy they found the product. None that we found complained about the price. Speaking of price, the customers benefit from the abundance of vendors selling the products. When we looked, it seemed obvious there was pricing competition going on. A word of warning here: we listed the product as a Prime product. However the vendor list did not show all vendors offering Prime shipping, so make sure to look for that if you are a Prime member. There were only 3 of them. One did not like the smell. Another person felt it left the skin oily while another had a skin issue with the product. Humphrey’s seems to be the main marketing company. Its rating on Amazon was 100% positive in the last 12 months (144642 ratings). Humphrey’s seems to be the main marketing company. It’s rating on Amazon was 100% positive in the last 12 months (144642 ratings). Like we mentioned above, BeHealthyBeMore.com is ecstatic with the heath rating we can give to this ingredient list. It was only because of a that technicality we could not give it a 99% top score. They listed the same ingredient for an extract from both Green and Black Tea. The databases only showed the ingredient in Green Tea Extract, not both. The difference between the two tea is minor. We believe the same low health threat ranking can be given to both ingredients. But we have to stick to the rules for health scoring, so there was a small penalty for the listing. All ingredients were in the Green safe zone. No moderate risk ingredients were found! No high-risk ingredients were found! No high-risk trace ingredients were found! No high risk Toxic Twelve ingredients were found! See what we mean? A bunch of long green bars; a thing of beauty. The Witch Hazel has been around for years. It has possibly the safest to use ingredient we have seen so far. It does not promise to do everything, but a lot of people are using it for more applications than the promise includes. With so many vendors selling the product, the Amazon price has a built-in price competition, so prices are very competitive. With this healthy of an ingredient list and pricing pressures, we suggest you just try the product to see what it can do for you what you might be able to take out of your current skin care mix. This product cleans and moisturizes. You can suggest products you have questions about or are using. Please make sure they are either Nikken or Amazon sold products and be sure to give the exact name of the product including the Brand. If you leave your email, we will email you our plans. If you like our mission to help you make a healthy decision for products and want a way to support our effort without cost to you? Then please just purchase products through our links on this site. When you do, it helps us to keep up our full-time energy and even keep alive the dreams of growing our efforts.